As regular listeners know, Jack has been at my house for a few days while attending Sun 'n Fun. (Dave Higdon was here for a while, too, and listener Luca Berta also is here while stranded because of the volcano.) Jack mentioned some time ago how he's never been in an Aeronca Champ. 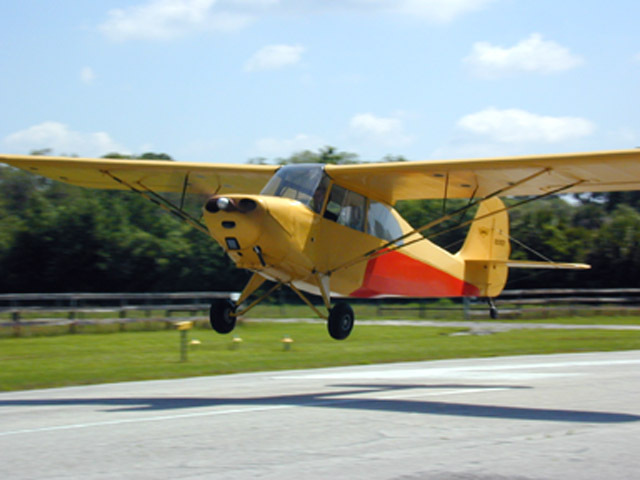 Since there happens to be one based here at my little residential airpark, I humbly asked its owner -- long-time pilot, instructor and examiner Dave Whitman -- to give him an intro ride. Dave responded with great enthusiasm and this morning did the deed. That's Champ owner Dave Whitman on the right. To my surprise, Dave offered me a ride, also. I've been in Champs before, but not this one. Here's the landing, and the aftermath. We both had a blast. Highly recommended as a way to blow out the cobwebs each morning after too many Leinies the night before. Special thanks to Dave Whitman for making this happen, and to his daughter, Wendy (hotness = 11!) for running interference. Finally Jack gets to fly a real plane. Champs may be a bit slow, but they get there. 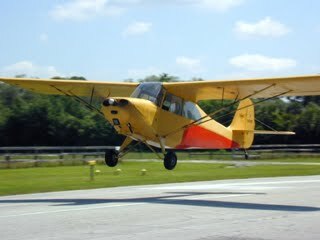 And the fun is in the flying, unhindered by all that modern electronic stuff with so many buttons to push. 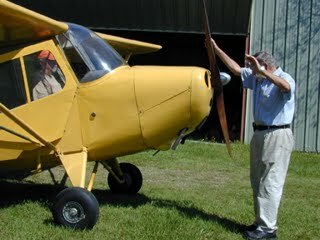 Real pilots fly taildraggers. I like the B&B idea. After all, there are little inns that feature horseback riding, others that advertise their fly fishing. 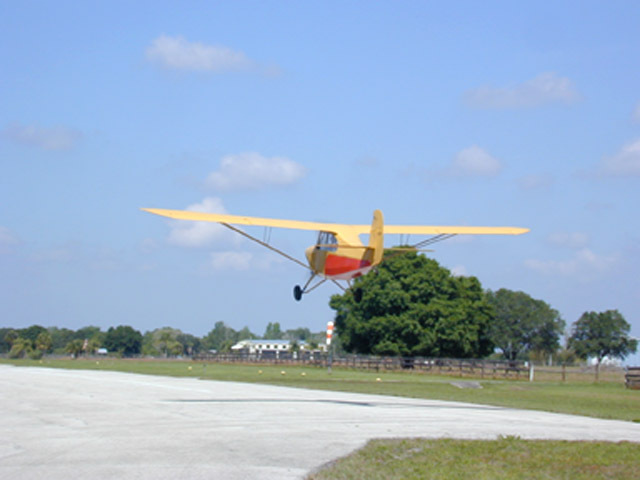 Why not a B&B in sunny Florida that features flying taildraggers? 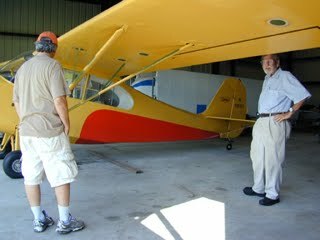 The combination of humor, aviation updates, hangar talk, humor, safety, humor and all the experience the three of you bring is a delight. But it was the Champ talk that got me to write. Got my Sport Pilot rating on 11/2/09 in the Champ--at age 69 (it was my birthday) and learned "seat of the pants" flying. 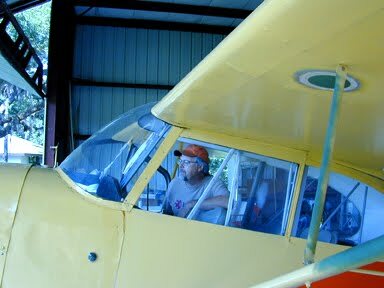 Low and slow is plenty good enough for me--not only can you have the window open, but you can leave the door off, too (search YouTube under "Herm222" for videos of that). 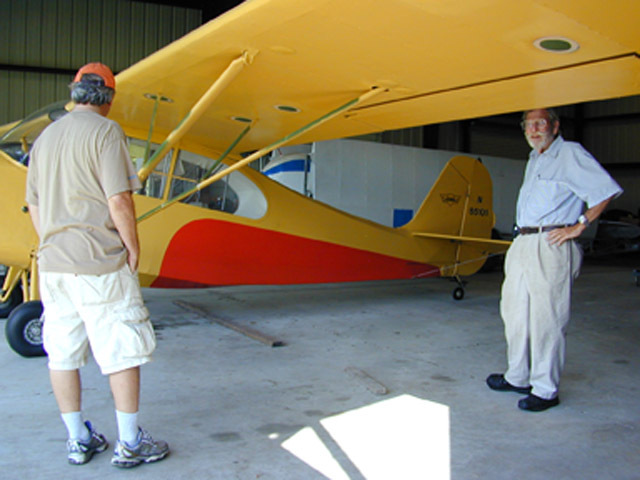 Would love to hear you talk about sailplanes some time, but whatever, just keep it up--am always waiting for the next podcast. 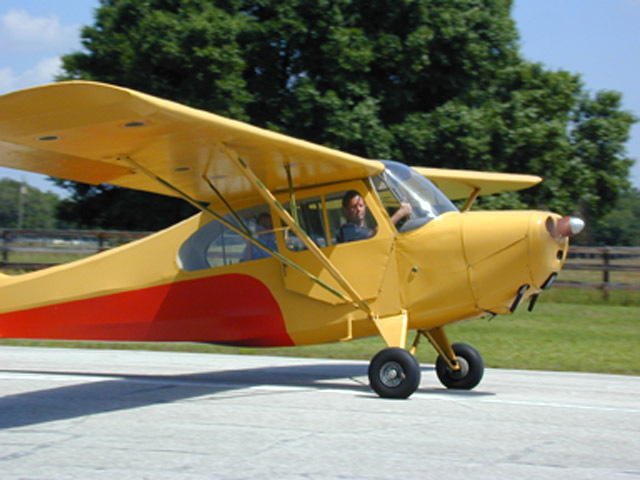 For Sale: Great Airplane -- IFR!